Game Of Thrones continues to excite viewers as the eighth and last season approaches. Fortunately, this won’t be the last opportunity for fans to travel to Westeros and Essos. A new official studio tour promises to “drop fans in the very heart of the Seven Kingdoms”. The gates open at Linen Mill Studios, in Banbridge, Northern Ireland, perhaps as soon as Spring 2020. In partnership with HBO Licensing & Retail, the new 110,000-square-foot interactive experience features the largest public display of GoT artifacts in the world. Additionally, it will “evoke the show’s magnificence from King’s Landing, Winterfell, Dragonstone, The Wall and the lands beyond, to kingdoms across the Narrow Sea like Mereen and Braavos”. 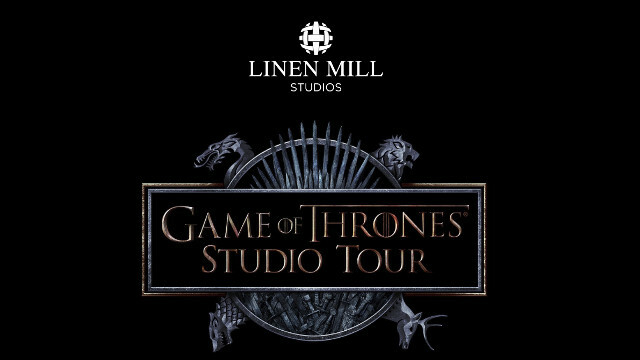 “Linen Mill Studios is thrilled to have this opportunity to offer fans a unique insight into the making of the Game of Thrones series in the authentic setting of one of its foremost filming locations,” said Andrew Webb, Managing Director at Linen Mill Studios. Furthermore, this is just the first in a larger series of Game of Thrones Legacy projects that HBO announced last year. The final season of Game of Thrones begins on April 14 on HBO. Are you planning on going to Northern Ireland in 2020? Let us know in the comments section below.